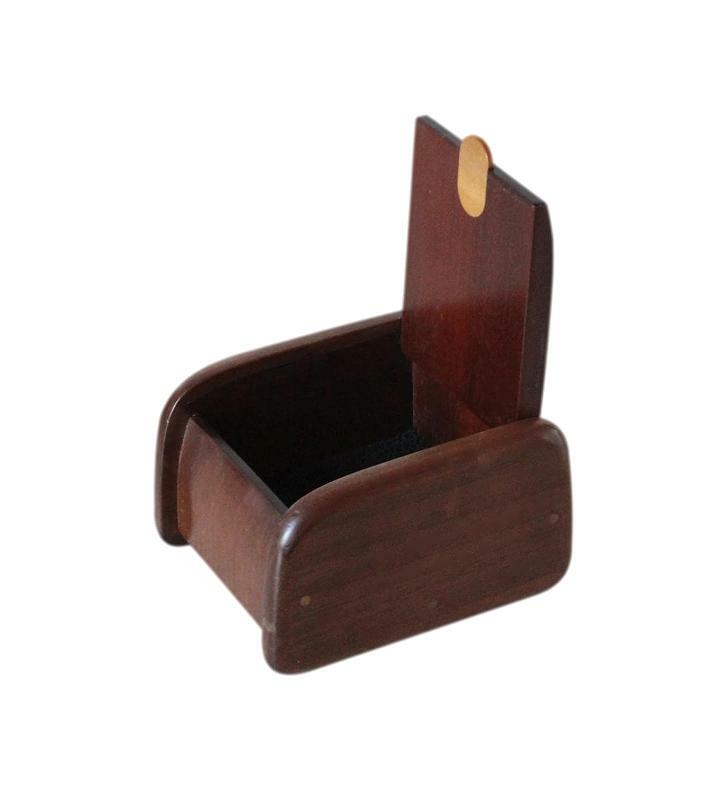 This box is made of both Mahogany and Walnut. 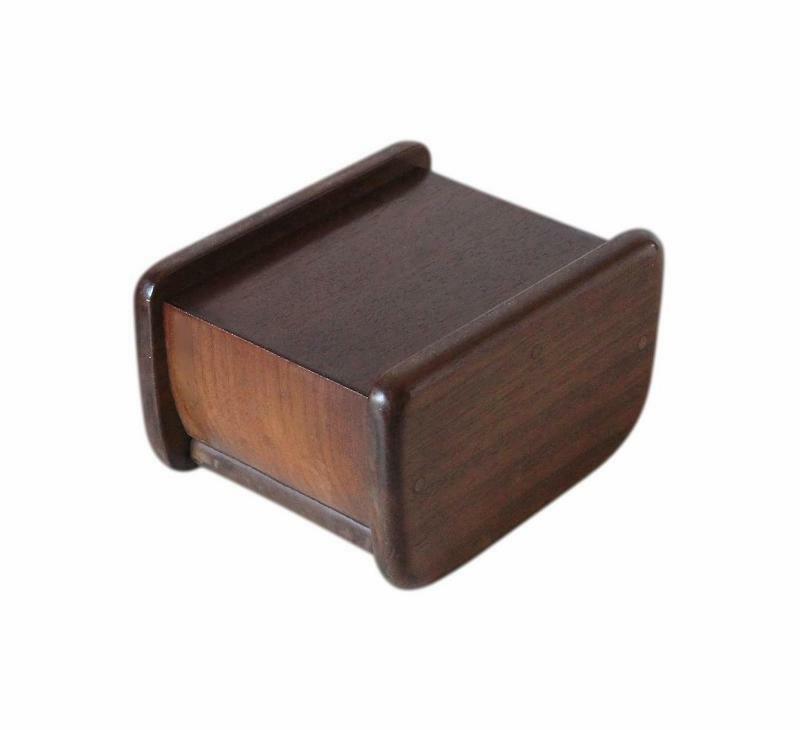 The lid is made of lovely Black Walnut and the rest of the box is Mahogany. All of the wood has beautiful figuration. 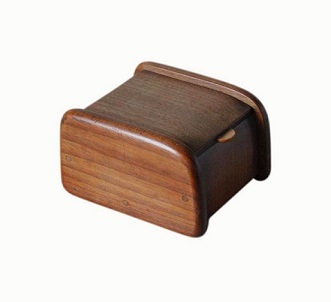 The box has a lovely streamlined shape and soft rounded edges. 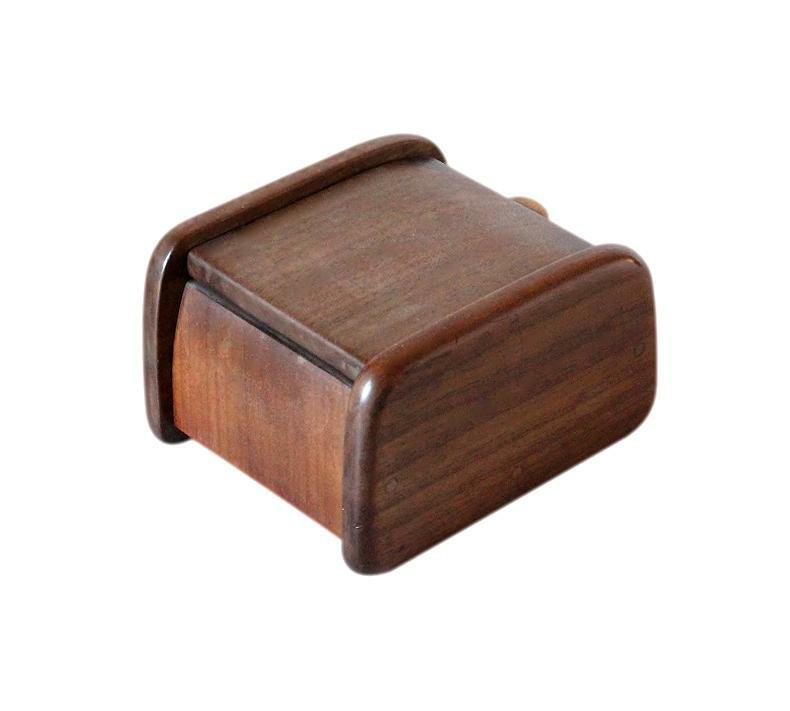 It also has a lovely Walnut lipped handle on the lid. The interior has a single storage compartment which has a new cushioned black felt lining to the base. This lovely stylish box is in very good condition. It is structurally sound and has only minor light age related surface wear. Please use the following measurements to ensure the box is the right size for your requirements. It is a lovely charming size for a small collection of jewellery. 8.5 by 7.7cm with a 4.4cm depth.